Our volunteers and supporters are key to everything we do. We proactively encourage volunteer involvement in all areas of our work from reception, fundraising, outreach, client appointments, client education and skills development. Volunteers donated over 4,000 hours of work to SPEAR last year. Please go to our Volunteer page for more information about volunteering and how you can get involved. Our supporters give to SPEAR financially, through organising fundraising events, through sharing their skills or gifts in kind donations. Support can come from individuals, companies, educational institutions, schools, faith organisations, local community groups, trusts and legacy giving. Their support is vital for the sustainability of the charity and helps us plan our work. Please go to our Get Involved page for more information. Our clients – the people that we help, are vital to our planning and for getting feedback on the service we offer. Our Service User group meets each week and get involved in many different areas. For example they offer practical support at events, they give presentations to the public about their experience and SPEAR’s work. Also, they input their ideas and feedback through surveys and they encourage other SPEAR clients to get further involved in SPEAR. Some of our SPEAR clients are also training to be Peer Mentors. This is an accredited training and means they can go on to support and mentor other SPEAR clients. Please go to our Service User Involvement page to find out more about the activities our clients have been involved with. SPEAR’s Trustees meet with our CEO and Senior Management team at least every three months at our quarterly Trustee meeting to review the governance of the charity. In addition, some members of the Trustee team also meet to review other more specific areas such as audit and risk, finance, operations, HR or fundraising. Paul retired as Chief Executive of Shepherds Bush…. Jack is SPEAR’s longstanding dedicated Chair on our Board of Trustees. Jack was Deputy Chief Executive and Finance Director of Thames Valley Housing for 21 years until 2015 where he had line responsibility for all areas of Accounting, Treasury, IT and Human Resources . During his period as Chair of Fizzy Living, Jack had responsibility for the start up of this PRS group and ultimately the sourcing of £200 million of equity funding from the Abu Dhabi Investment Authority. 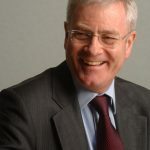 From 2007 to 2015 he chaired the body setting the accounting standards for the housing sector, overseeing the introduction of FRS 102, and was a member of the ICAEW’s Social Housing Committee. Prior to this he was the Finance Director and Treasurer for McDonnell Douglas Bank and Security Pacific Bank. Jack is currently a non executive Board Member of : Aldwyck Housing Group and chair of the audit committee, Barnet Homes Housing Group , chair of the audit committee, Folio London ( PRS subsidiary of Notting Hill housing Group), a subsidiary of the commercial developer First Base. He is a member of the Chartered Accountants of Scotland with an Ma(Honours) in Economic Science. 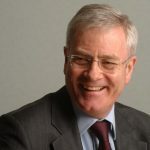 Barrie joined the Trustee Board of SPEAR in 2005 shortly after retiring from a career in Shell spanning the fields of Business Development, Strategic Planning and Personnel (Performance Appraisal, Development & Mentoring). Having joined SPEAR at a critical point, he has used his experience to support SPEAR through several phases of growth and development. He has a strong commitment to the underlying ethos of SPEAR and the need to help our service users out of homelessness. He is a past Chairman of the Personnel Sub- Committee of SPEAR (now disbanded). He has also spent a number of years co-opted onto the Finance & Strategy Overview & Scrutiny Committee of Richmond Council. As a co-opted member, he provided an independent voice and external challenge to the review of proposals for Council consideration. Barrie lives in Teddington, is married with two grown-up sons, five grandchildren and a cat. He also has a BA degree in Economics & Mathematics and is a Chartered Statistician. 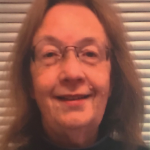 Charlotta is a life-long local resident who has a thirty year association with SPEAR, having been a volunteer for Penny Wade at the time of SPEAR’s creation. Charlotta’s first dissertation was on the subject of Community Care in Richmond and she taught the drama group at the original Vineyard Project. Charlotta has remained an active volunteer for several local charities whilst raising her family, including setting up the first school ‘Green Travel group’ and recruiting a volunteer team to assist at free local breastfeeding clinics. Charlotta is also a company secretary in the environment/social finance sphere; holds a Humanities degree and diplomas in Governance, HR, Marketing, Advertising and PR. Charlotta re-connected with SPEAR initially; for SWEP, Streetcount and as an Ambassador. 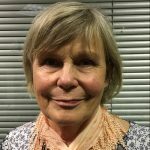 Charlotta became a trustee in 2016 and looks forward to contributing to SPEAR’S continuing journey from Homelessness to Independence. Alex joined SPEAR as a trustee in 2016. He works in Richmond as an NHS consultant in Child and Adolescent Mental Health and has been a Richmond resident since 2005. He completed both his medical training and psychiatry training at UCL (including a post in homeless mental health) and finished his higher training in Child and Adolescent Mental Health at St Mary’s University in London. 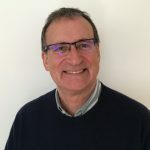 In his current role, he also has responsibility as the Named Doctor for safeguarding children for the local borough’s mental health trust and is an active member of the Richmond Local Safeguarding Children Board. Alex is also a Trustee of Hounslow Youth Counselling Service, and supports ADHD in Richmond. Grant joined SPEAR as a Trustee in 2015. As a Twickenham resident he has seen at first hand the number of rough sleepers in the area. 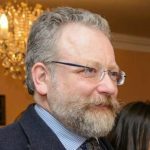 While serving as a local Councillor he heard of SPEAR’s work and the high opinion of it held by many of his colleagues, and decided to become involved as a trustee. He is a company director, business consultant and lecturer. Grant was born in the Midlands and moved to London fourteen years ago. His early career was in the automotive industry and he has worked in the third sector as a co-ordinator and fundraiser. Christine is a former City solicitor whose specialism was private client law (including charity law). She is also a former JP from the Richmond Bench. She has been involved over the years in a number of local charities as a volunteer. Many years ago she did a stint at The Vineyard Project. She has worked as a volunteer for SPEAR for nearly three years and continues to work there. Christine has lived all her married life in Kew and was on the committee of The Kew Society for a few years. She enjoys music, the theatre and her friends. Rachel worked as a teacher and translator when her children were young and managed a livestock farm in the New Forest for 35 years. 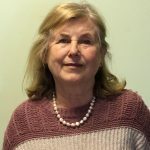 Rachel became interested in affordable housing through serving as a Parish Councillor in Brockenhurst for 12 years and worked for various organisations in Hampshire and Dorset to develop and manage affordable rural housing. She has a Professional Diploma and is a Member of the Chartered Institute of Housing. She helped to pilot Personal Housing Plans in Shetland in 1998-9 and wrote a pamphlet on rural models for Shared Ownership. Rachel has recently given up being Chairman of New Forest Villages Housing Association after 10 years and became a Trustee of SPEAR in 2016. She is married to Sir Vince Cable. Jonathan Cardy joined the board of SPEAR at the end of 2016. He was first elected as a local councillor in 1998 and apart from one four year gap has been a local councillor since then. As a local councillor he appreciates that housing is one of those basics that we all need. 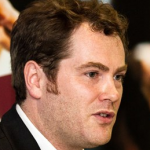 Jonathan joined SPEAR as a trustee in 2016. 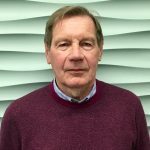 Jonathan is in his tenth and final year of being a trustee at the Hampton Fuel Allotment Charity, the major local funding charity in the Middlesex side of the London Borough of Richmond and a funder of SPEAR. He brings to SPEAR his knowledge of charity governance and social housing. 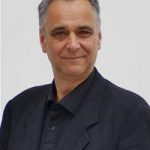 In 2000 he was involved in the process that converted the council’s housing department into a housing association – Richmond Housing Partnership, and then was the Council’s cabinet member for Housing and Community Safety from 2001-2002. In 2006 he joined the board of Richmond Housing Partnership where he was a member for eight years. Outside of his Housing involvements, Jonathan currently chairs Richmond Council’s Audit committee and is the opposition spokesperson for Finance. Previous professional roles include Data Protection compliance in a marketing company and two years as Museum Liaison for Wikimedia UK. From 2007 to 2017 Jonathan was a trustee of the Hampton Fuel Allotment Charity, one of SPEAR’s funders. By then end of his ten year term there he was Vice Chair of the charity, and chaired its community grants panel which disburses £1million a year to local charities such as SPEAR. Katy joined the trustee board of SPEAR in 2016. She holds a senior role in HR and OD for a diagnostics organisation and has held a number of HR roles in a range of organisations over the last 20 years. 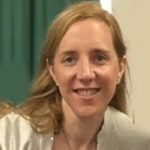 A qualified coach, Katy is a member of the CIPD and holds a post graduate diploma in law from Kingston University. She is keen to use her experience in a local not for profit charity and became interested in SPEAR after attending a talk. 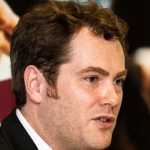 Duncan joined the Board of SPEAR in 2016 as a Trustee. Graduating from Durham University (Mathematics) in 1994, and moving to Richmond shortly after. has worked in investment banking for over 20 years, with significant time spent in finance, trading, structuring, sales, risk management and in leadership positions. Duncan currently runs a financial markets sales and trading operation at a commercial bank. He lives in Richmond with his wife and two children, one of whom is passionate about helping the homeless. Stuart grew up in London and went to secondary school in Westminster. He started working with vulnerable people with mental health issues in the mid ‘90’s. After qualifying as a Psychoanalytic Psychotherapist in 2003, Stuart started working with street homeless people struggling with mental health issues in East London. He then held a variety of project management, new business and senior operational management roles in several London homelessness organisations, including Head of Offenders Services at St Mungo’s and Commercial and New Business Director at Guinness Care and Support. 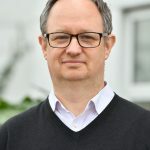 Stuart gained an MSc in Voluntary Sector Management at CASS Business School in 2009 and took up the role of Chief Executive at SPEAR in 2010, and has since led the charity to develop and expand SPEAR’s activities in South West London. Lesleigh joined SPEAR in 2014 as the Director of Operations, providing strategic leadership to the organisations operational delivery, and leading on the development of new business. 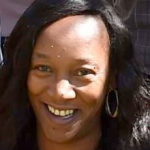 With a 20 year background in health and social care, including her work as a lead commissioning manager – Lesleigh has led on a number of high profile health and social care programmes for young people and adults across London and Kent councils. She has also successfully delivered a number central government pilot programmes of social care initiatives in her role as a commissioner. She is vastly experienced in capacity building, growing and managing teams whilst delivering against ambitious targets, as well as developing new business models and retaining projects in challenging funding environments. 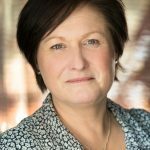 Lesleigh is also very experienced in change management – creating, designing and delivering people performance and client oriented improvements across a range of services and contracts. She has been a key player in the organisational development of staff and services at SPEAR, working to ensure that the organisation is well equipped to manage growth and development effectively. Heidi has a 20 year background working in fundraising. From Macmillan Cancer Support, to the RNLI (Lifeboats), to a refugee charity in Hong Kong, she has worked for many different sized charities in all areas of fundraising in the UK and overseas (amongst a number of other roles). 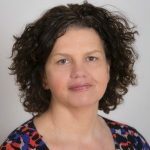 At SPEAR, Heidi is responsible for strategically overseeing fundraising including trusts, corporates, community, education, faith groups, events and individuals. Her team also manage the communications and PR of the charity including website, social media, branding and publications. 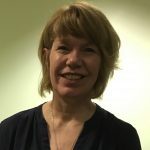 As a member of the Senior Management Team, Heidi’s experience of working for different charities, also supports the governance of the charity. Raising funds is vital for the sustainability of the charity. The wonderful community we work within, overwhelm us on a daily basis with their philanthropy, including financial, practical and volunteering – SPEAR’s work wouldn’t be possible without them. What Heidi loves most about working for SPEAR is that on a daily basis she is able to see the work with our SPEAR clients in action. 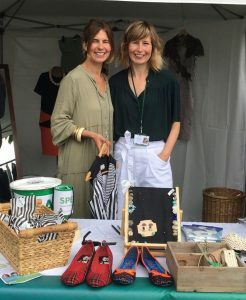 One of her highlights at SPEAR was overseeing SPEAR’s 30th Anniversary events in 2017 – events that not only raised vital funds, but also embraced the spirit of SPEAR, from the transforming journeys clients go on, to service user, volunteer, trustee and staff involvement. Laura has been working for SPEAR for over four years, developing within the organisation to become the HR & Quality Manager. Laura is a qualified HR Manager with a Level 5 Certificate in Human Resources Management and an associate member of the CIPD. With a background in studying law, Laura oversees human resources and quality assurance for SPEAR which encompasses a large array of work, from recruitment to learning and development, to health and safety and infrastructure. Laura develops robust policies and procedures for the organisation and oversees our quality assurance accreditation with ISO:9001, which we have managed to re-secure successfully for the past five years. 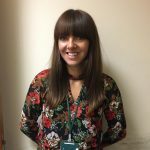 Laura has also been a key player in ensuring the organisation is accredited with the London Living Wage Foundation and is a strong advocate of ensuring every staff member is paid at least the London Living Wage. 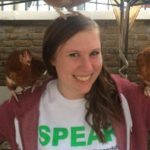 What Laura loves most about working for SPEAR is the people with whom she works and the learning and development opportunities the charity provides. She finds working alongside those who transform our service users lives to be rewarding and is in awe of the amazing work her colleagues undertake on a daily basis. The learning and development opportunities at SPEAR, not just for herself but also her colleagues, are also a benefit. Laura is passionate about ensuring that the staff at SPEAR are equipped with the skills and knowledge they need to undertake their role, whilst also ensuring there are opportunities to develop. Lisa has worked with vulnerable people, both in the UK and Australia, for over 20 years. This has been primarily with children, young people and their families, those with disabilities and mental health, and now in the homelessness sector. She has both established and managed various programs, focusing on things such as: employment, education and training; migrants and refugees; holistic work around complex needs; and gangs programs. Lisa now manages a team – Fresh Start – that works with people holistically to prevent homelessness. It is a new area of work for SPEAR, and one that Lisa and the team are very passionate about. The Fresh Start Team know how difficult it can be to find support. They assess people on 10 main areas of their lives that can lead to their tenancy breaking down, look at the identified needs, and help clients access the right support for them. The team is outreach based within the community, making them more accessible to clients, and can initially accompany clients to meetings with new agencies to help the transition. The Fresh Start team also work hard to link clients into their own local communities to reduce isolation, help people feel connected and to have a peer support network. The Fresh Start Team work with both single households and families in Kingston, and with single households only in Sutton and Merton. Annette is the operational manager for SPEAR Richmond Services. Annette has been working at SPEAR now for seventeen years, developing her skills on the way. Annette is one of the longest serving staff members at SPEAR, so has seen first-hand how SPEAR’s services have evolved and developed to offer new services. 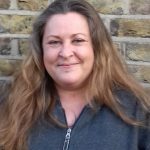 Annette is passionate about helping vulnerable people and thrives on working with the clients to help them move to a more positive place, by supporting them through the SPEAR Pathway of ‘Homelessness to Independence’. This journey, can be challenging, but when you see a client with complex needs move on with their lives it is extremely rewarding. 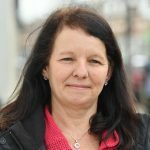 In addition to managing other staff working in Richmond, one of Annette’s roles is to set up new shared houses for clients and make them habitable. She has co-ordinated the set up of three shared houses to date and is responsible for their effective working. She also project managed the refurbishment of Penny Wade House. Annette likes to travel and keeps in close touch with her grandchildren and her mother. Having studied languages, Julie initially followed a 12 year career in the Travel Industry. However, having always volunteered outside of her work, a 2 year stint volunteering in Ghana confirmed her future in the not-for-profit sector. After gaining an MSc, Julie went on to work for over 10 years at Voluntary Services Overseas (VSO) recruiting, supporting and training volunteers for their overseas placements. Julie joined SPEAR in the summer of 2014 and has worked to develop the volunteering programme so that we have a steady stream of 70-80 volunteers engaging with SPEAR either on a regular (often weekly) or ad-hoc basis. In addition, over 250 people receive the regular SPEAR Volunteer Newsletters. The recent expansion of SPEAR programmes across 5 SW London boroughs offers additional exciting opportunities to develop the volunteering programme further, as does the growth of our service-user volunteer/peer mentor programme. Julie loves working with volunteers and is continually inspired by their generosity and dedication. She also enjoys working alongside such a committed team of professionals, who continually go above and beyond the remit of their role to improve the lives of our service-users and feels privileged to be able to play a very small part in supporting their amazing work. 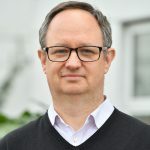 Paul retired as Chief Executive of Shepherds Bush Housing Group in 2017 after twenty years as CEO. 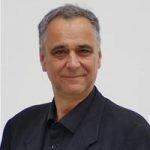 He was a founder member and company director of PlaceShapers and has served as a trustee and director on many organisations. 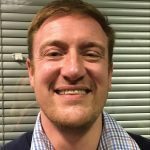 Paul trained as a Planner before becoming a Housing officer working with Hammersmith and Fulham, Westminster, the Housing Corporation and Richmond upon Thames. Most recently he spent 10 years as a trustee of St Mungos with five years as Chair. He received a MBE in 2016 and is a Member of the Chartered Institute of Housing. He is also a trustee of another homelessness charity in Elmbridge. Giuseppina’s background in social care started back in the 80s’ when she worked with vulnerable elderly people and then joined the Red Cross as a volunteer. 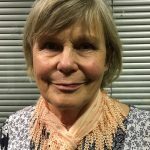 She worked with HIV/AIDS support charities in London in the early 90s and volunteered across several London boroughs to promote health, wellbeing and prevention of the disease. The native Italian continued her work in the charity sector by supporting vulnerable adults suffering from chronic mental health problems in a care home and supported accommodation for over 15 years. After finishing her work in the London care home, she has worked with homeless people and joined Spear’s Outreach team three years ago. 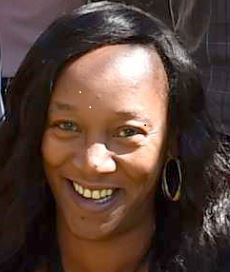 She is now managing the Health Link Service in Richmond & Kingston working with community day centres, the criminal justice, DV agencies, Drug & Alcohol support services, Mental Health services, IAPT, the Council and all other major local services to support more homeless people with severe and complex unmet health needs. 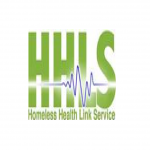 She manages a diverse team of HHLS workers, peer workers and volunteers, while training professionals to enhance their understanding of a rough sleeper’s pathway in hope of improving the work with one another. Donna is the finance director at SPEAR. She is and qualified charted accountant and has worked within the charity sector and in supported housing for over 20 years. Donna joined SPEAR in July 2018 and brings with her over 15 years of experience as a Finance Director. She has been employed by several organisations in both the not for profit and commercial space. Donna is a true philanthropist and feels passionate about helping others, especially those who are most vulnerable in the fast-paced contemporary world we live in. Since joining the team, she has witnessed the direct impact SPEAR have on the homeless community in South West London and is eager to see how we can further expand our work and make even more of a difference in the future.